Juanita J. Anders is a Professor of Anatomy, Physiology and Genetics and Professor of Neuroscience at Uniformed Services University of the Health Sciences. She specializes in peripheral and central nervous system injury and repair mechanisms, and light tissue interactions. She is recognized as an expert in photobiomodulation and has been invited to speak and chair sessions at numerous international laser conferences. Dr. Anders received her PhD in Anatomy from the University of Maryland Medical School then joined the National Institutes of Health in the Laboratory of Neuropathology and Neuroanatomical Sciences, NINDS. Dr. Anders serves on the Executive Councils and Scientific Advisory Boards of several laser societies. 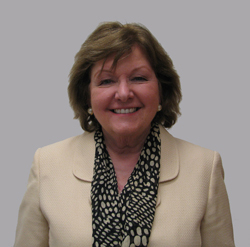 She is the past president of the North American Association of Laser Therapy, a founding member of the International Academy of Laser Medicine and Surgery, and currently is the immediate past President of the American Society of Lasers in Medicine and Surgery and also is a member of their Executive Council and Governing Board. She is Senior Editor of Photomedicine and Laser Surgery, Associate Editor of Lasers in Medical Science, and is on the editorial board of Lasers in Surgery and Medicine, and Physiotherapy Practice and Research and has published over 70 peer reviewed articles.